Mother died after 17 days of giving birth to these babies. I opened a post for the adoption for these babies and it went amazing. Five puppies were adopted by five different people in one day which is unbelievable. I took all the puppies by myself to their home in the surrounding of 30 KM. I am glad that i have opened up this page and it was so quick that most of them got adopted via this page. I will visit every week to all the adopters house and will be doing the first vaccination by self in a month time to make sure that every puppies are adopted. Prabin Bajracharya (Pulchowk)- He is working at Hero Showroom but everyone must know that he is a super hero. I know you will take a good care of her. Congrats for having a new member in your family. Srijana Karki(Jorpati) – You are an angel for her. I know you will take a good care of her. Congrats for having a new member in your family. Sardila Khatiwada (Jorpati) – You are an angel for him. I know you will take a good care of him. Congrats for having a new member in your family. 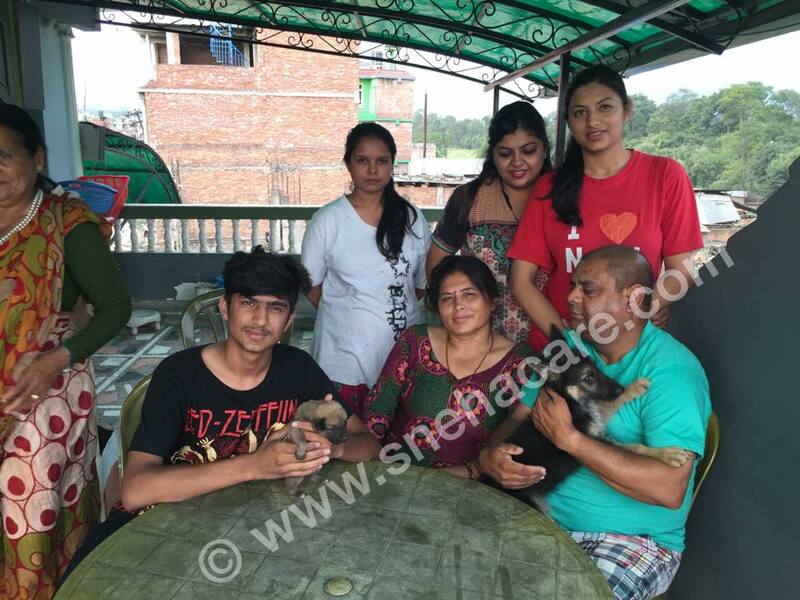 Nishant & Family (Bhaktapur) – He is an example to everyone. He is an amazing guy, who loves all the street dogs in his area. He has everything at his house whatever is needed for puppies or dogs. His family is very supportive at him and everyone loves dog. Rojina Thapa (Jorpati) – You are an angel for him. I know you will take a good care of him. Congrats for having a new member in your family. Thank you Dadamo Karanjit Jee for taking good care of these puppies till today. If people like you exist in each area, none street dogs will suffer.